Your own personal lab, in the palm of your hands. Take the "what if" out of your cannabis. 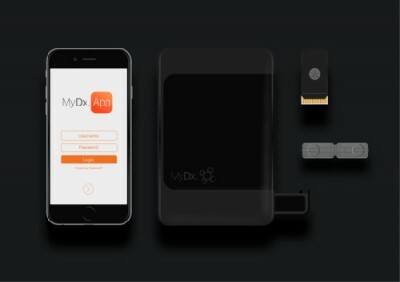 MyDx is the first of its kind portable chemical analyzer, allowing you to affordably and accurately identify the composition of your cannabis. 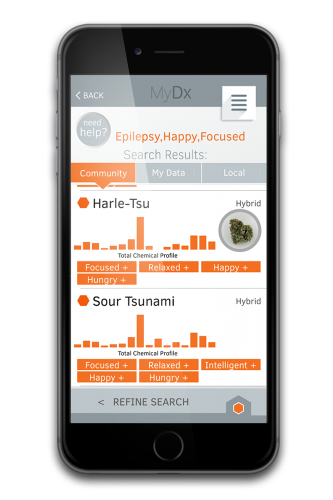 The CannaDx sensor will deliver a Total Canna Profile™ (TCP) that goes beyond THC to encompass cannabinoids and terpenes—key compounds that can not just be measured through MyDx, but can also be analyzed to predict a feeling. Get the big picture of what’s in a specific strain of cannabis, and forecast its effect based on science and data, not anecdotal word-of-mouth. It’s never been easier, more affordable, or faster to Trust and Verify™ the composition of your cannabis. 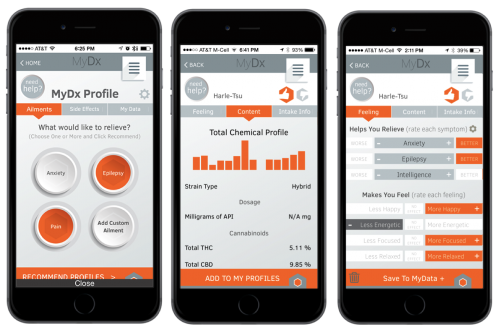 Get the world’s first handheld chemical testing platform, and get the assurance and control that comes with knowing the composition of your cannabis. 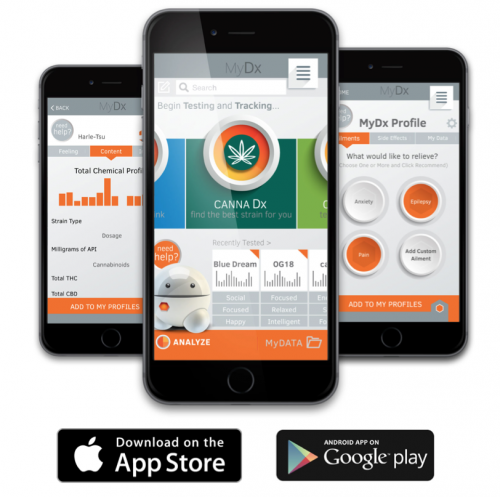 The CannaDx solution is a practical and affordable solution, empowering individuals and industry professionals to Trust and Verify™ the composition of cannabis strains. And, future add-on sensors are targeted to allow you to test for pesticides and other harmful chemicals in your food, water and air. 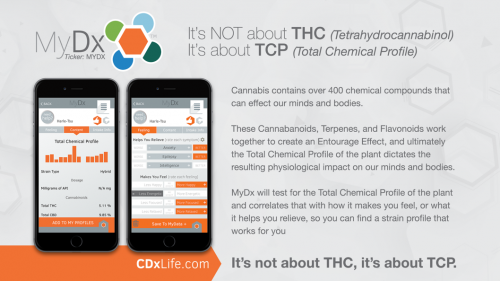 We’re putting next generation technology and science in the palm of your hand, giving you the tools to quickly and accurately measure a strain’s Total Canna Profile™ (TCP.) 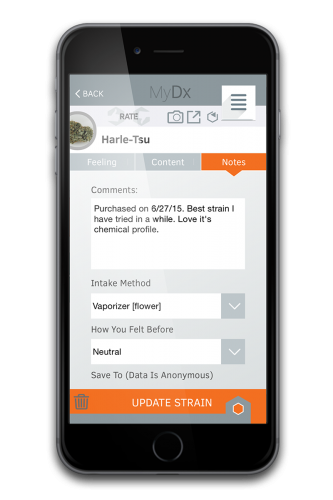 Get immediate, reliable results so you can know exactly what’s in your cannabis and understand how that specific profile affects consumers' feelings and outcomes. 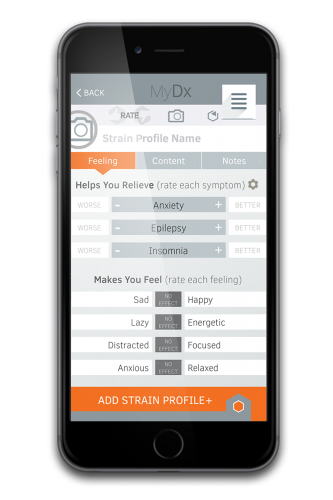 The MyDx app will empower people to correlate this data to their personal experience so that they can define the ideal strain profile for their unique needs and find what works best for them. 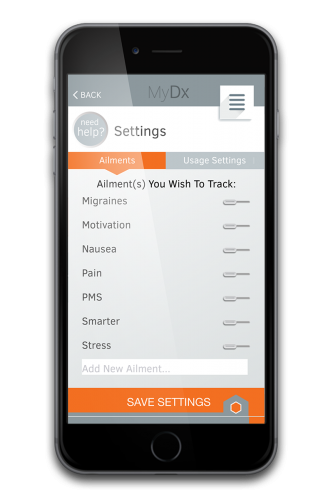 Compatible with iOS and Android devices, MyDx is simple to use, portable, and cost-effective. 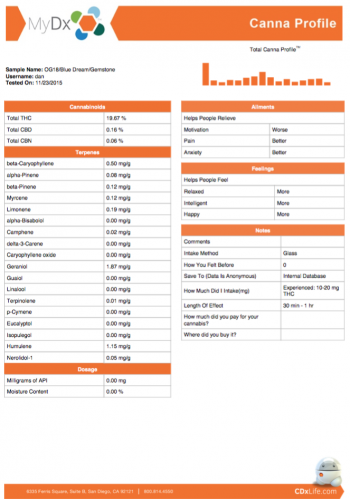 The Total Canna Profile™ (TCP) is a proprietary cannabis index based on a set of algorithms and associated user data, producing a unique profile of the composition of a given cannabis strain. 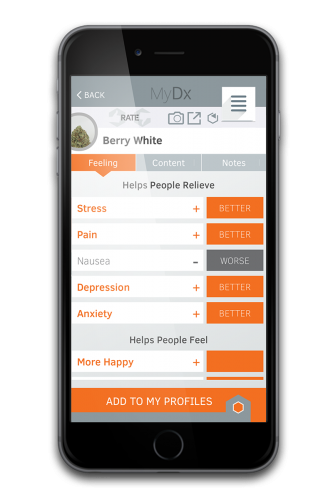 The CannaDx sensor ‘sniffs’ samples and measures the levels of THC and other cannabinoid and terpene ratios; data is sent via Bluetooth to the MyDx app, giving users a chemical profile of a sample. 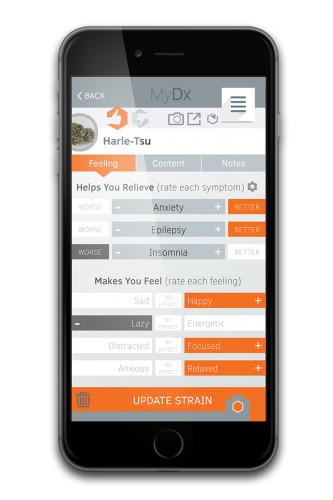 Consumers can then answer how that strain made them feel or what it helped them relieve, combining an extensive database of countless chemical combinations and their associated feelings with personal experience to find the cannabis that works best for them. *Not reported in all tests with current version of our sensor. ** For More Detailed Accuracy Specifications, please review our White Paper . Awesome! 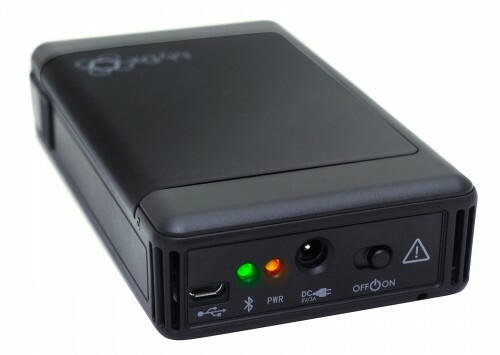 Review by Ron D.
just got mine, it is awesome! We tested about 20 samples. 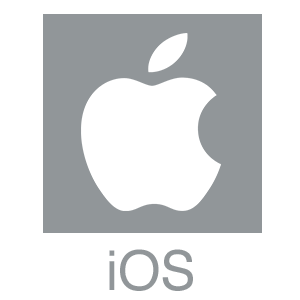 I called tech support and had a very positive experience. 2 thumbs up; excellent product all around. 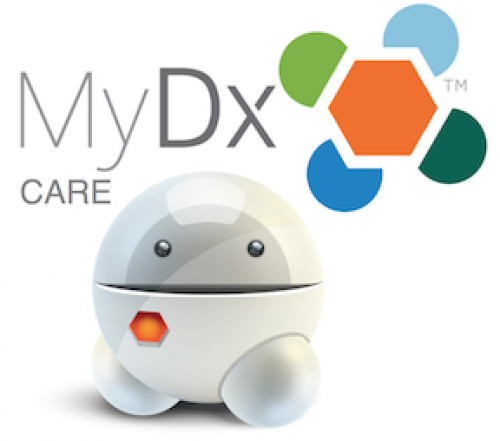 My husband and I have just just had our MyDx analyzer for over a week.. We are both impressed. The results are extremely accurate and the analyzer itself looks and feels of high quality materials. 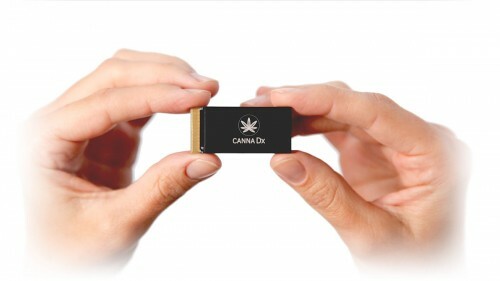 We were even impressed with the canna sensor. This analyzer is no joke.. The cannabinoid results were comparable to lab tests. Everything is working great. 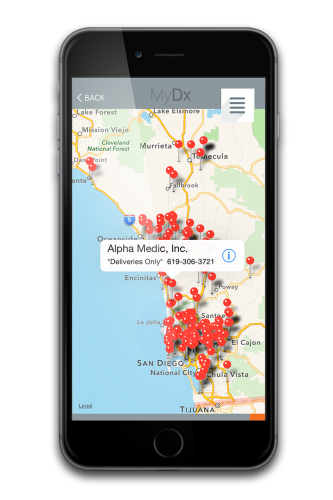 MyDX helps deteime what specific cannabis contains and what best gives you the relief you want. Before the creation of the Handheld MyDX? 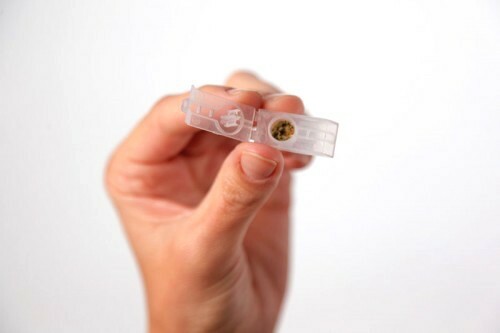 Patients, would experience anywhere from 25 to 3 strains of cannabis to determine what best targets their illness! 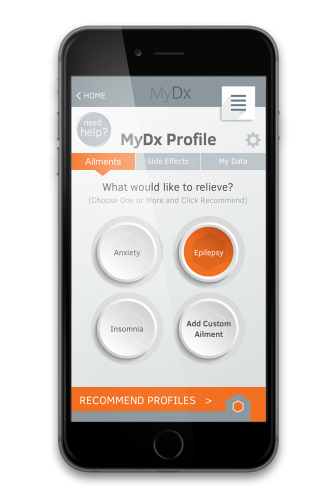 Now whith the MyDX we can limit the trial an error by 90%! Patients who normally purchase several stains over a period of 6 months upto 4 years. 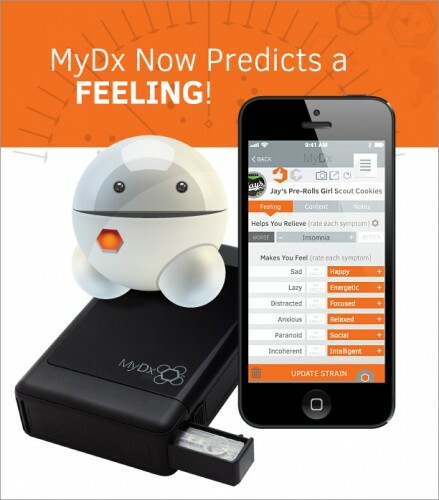 With the MyDX this eliminates Time vs Strain (pp23-45 Leonardo journal TB-6287) for read. 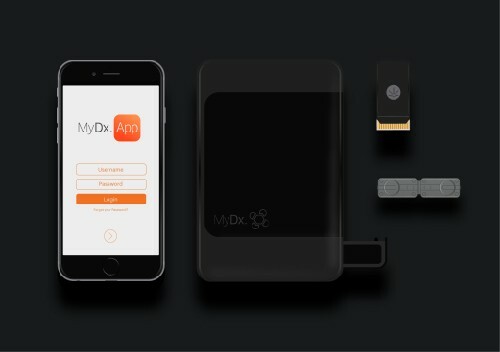 Prices now are at $700 US per MyDX. Currently over $900 Canadian. When most people are looking for an extra $2 to purchase their Meds? 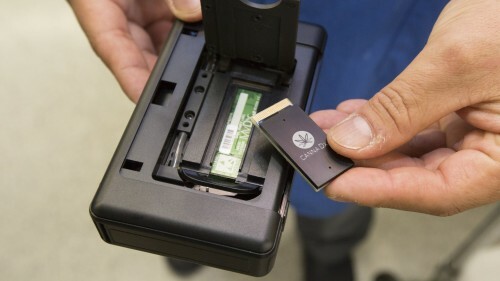 Now how can we make a device that accomplishes the same results but smaller price? Perhaps forward a Bill into legislation that requires all suppliers to have and to release this data to their clients. The Government does this with a box of Corn Flakes why not offer this data for a box of a given Cannabis? And bring down the prices of the Medical Marijuana. 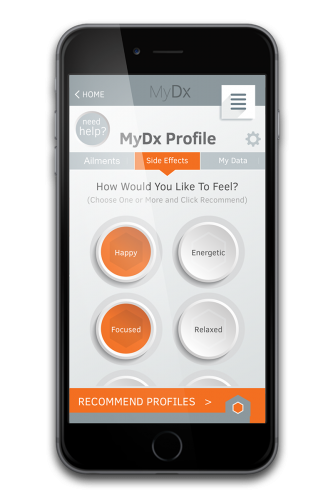 I have just just concluded my first round of tests on MyDx. I am genuinely impressed. The program has some bugs that will be fixed in the near future I'm sure. That said, the system is remarkably accurate. I tested 5 cannabis samples supplied by a "licensed producer" in Canada called Tweed. Each sample was tested 10 times. Each sample was precisely 50 mg. Samples were tested at random with no sample being run two times in a row. In the notes folder of each test I included the THC and CBD levels indicated on the label as well as a photograph of the label. 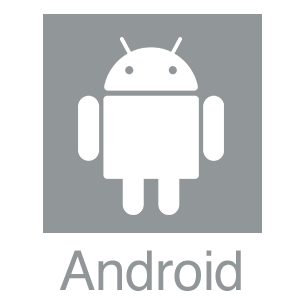 I invite you to review my data, my username is @CBDResearch.